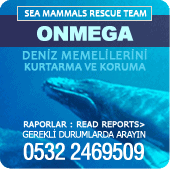 just a few words from me about the dolphin therapy in Marmaris, Turkey, for the three children. I paid a surprise visit to the parents in Turkey in order to personally view some of the children‘s therapies. As I (with a friend) arrived three days before the parents, I was able to see everything beforehand and have everything explained. During the very hearty welcome from Herr Axel Linke (Manager of the Therapy Center) and all the therapists and doctors, I was also given permission to take a look at everything and all my questions were given honest answers. I was already certain that „my“ children were in the best hands here and would be cared for by very well-schooled therapists and doctors. After the arrival of the families, as I was present only for a further five days, I watched daily some of the children‘s therapies and already on the third day definite improvements became apparent. With tears in my eyes I saw how Dominik stood up, Jaqueline exulted in joy when she played with the dolphins and stretched her hands out to stroke them. The children‘s eyes were clearly more alert and their faces were beaming (see the parents‘ reports). I have unfortunately been denied permission to report on the third child. Also the parents of Dana Joline (she was in Curacao for therapy) told me of further successes (Report to follow). I shall shortly be visiting the children at home to ask if the second week of therapies continued with success. I am quite sure that the donations were a very good investment and I have advised the parents to further their children in the „Hilfe durch Sport“ (Help through Sport) society, to which they have agreed. Only when the children continue to receive therapy can the successes attained be made permanent. It was also for myself a wonderful and unforgettable time! The children‘s success has given me new courage to continue, so that such a therapy can be made possible for many more disabled children and give them more zest for life.